Welcome to the Queen Vic Guest House. 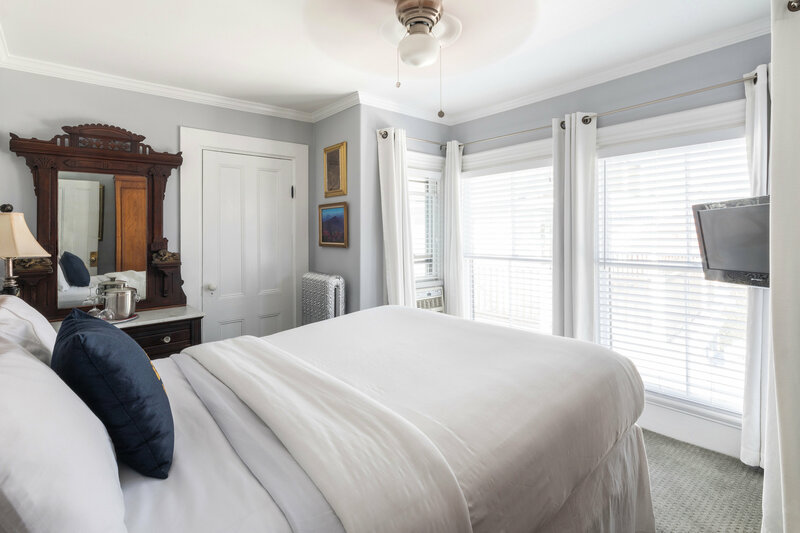 The Queen Vic Guest House Provincetown is a Boutique Hotel / B&B which was previously a historic sea captain’s home located on Commercial Street in Provincetown, MA 02657 which is situated at the tip of Cape Cod. 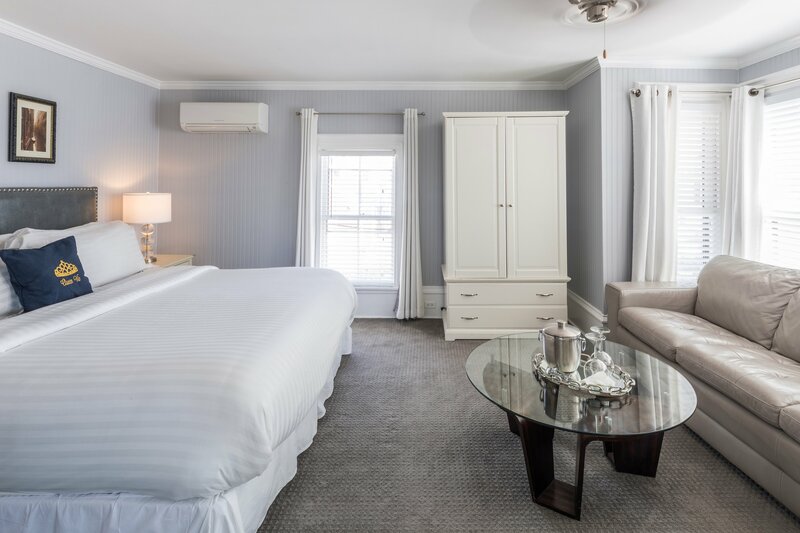 We offer 9 rooms each with a private bath and a Queen or King bed with luxurious linens. Steps from the beach in the fabulous West End we provide a friendly atmosphere for all to enjoy. This beautiful treasure is close to the finest dining, nightclubs and right across from the world famous Boatslip Resort Tea Dance! Whether relaxing in our private hot tub, our beautiful gardens, or the magnificent front patio, you will be immersed in the magic which is P-town. 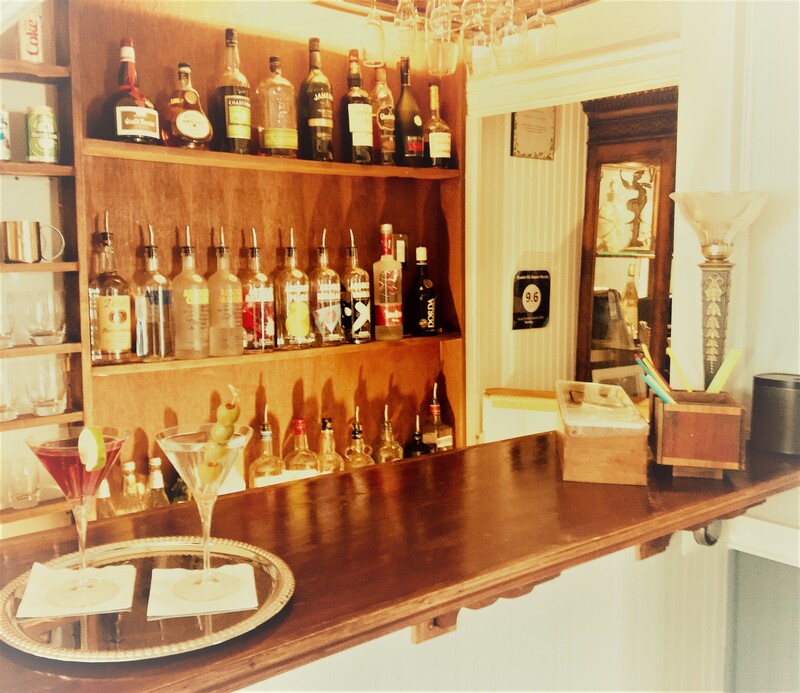 Our newly installed bar offers fresh cocktails in the afternoon, for sale only to guests and their friends! Queen Vic is truly a magnificent place to watch the world go by while catching up with old friends or making new ones. 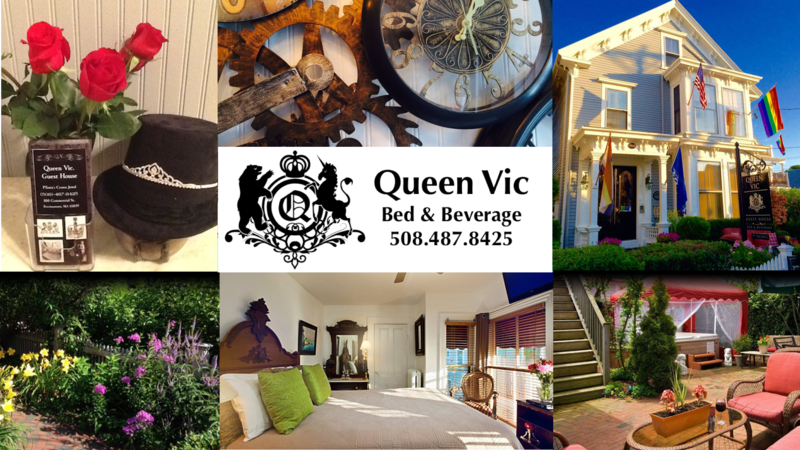 Once you visit Queen Vic you will always remember the reigning Queen of Provincetown. Meet and Greet in one of the best front yards on Commercial Street. Firepit for those cool evenings. One of our most popular rooms, this beautiful and bright hideaway is accessed through a private entrance off the back patio, affording an extra measure of privacy. Being within our private, fenced-in patio garden, it is also just steps away from the hot tub! 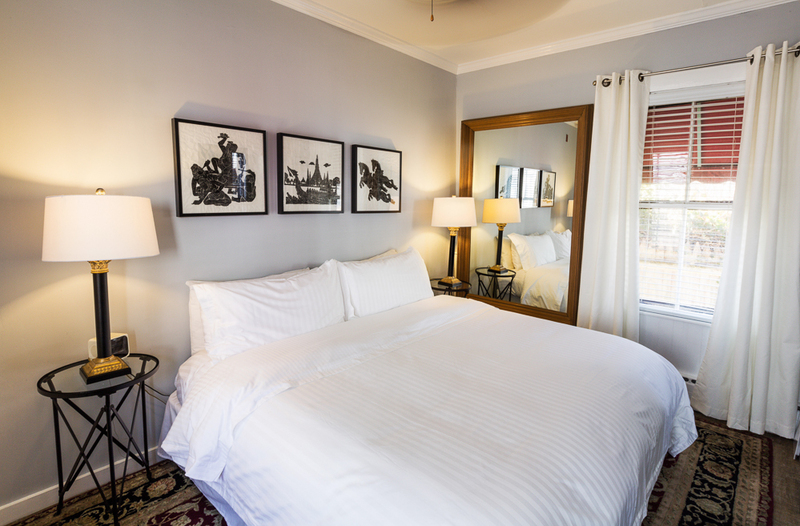 The deluxe King bed is topped with luxurious linens and abundant pillows. Amenities and supplies include: private bathroom, ductless A/C and heat, mini-fridge, flatscreen TV, free wifi, ironing board and iron, hair dryer, bathrobes, blackout curtains. 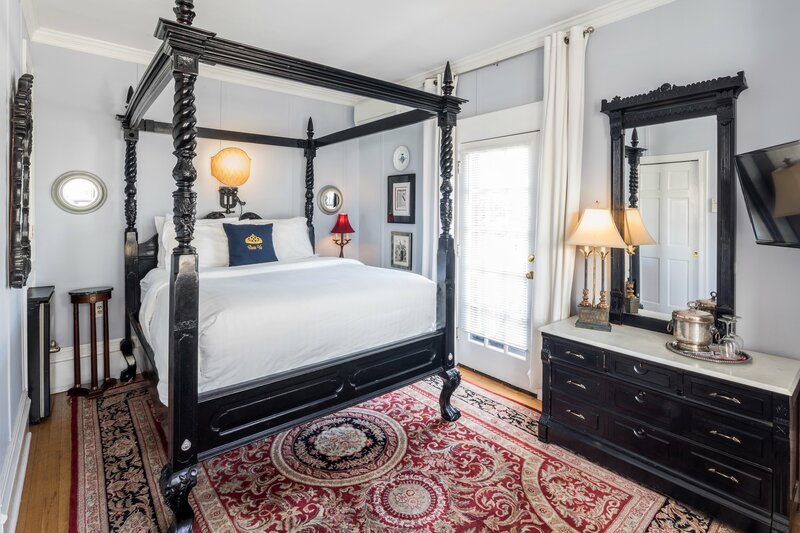 This gorgeously appointed room features a four-poster deluxe Queen bed, a wonderfully relaxing leather armchair and ottoman, a floor-to-ceiling bay window facing Commercial Street, and a petite “Romeo Balcony” — a doorway to a small private landing on the side of the house. Its location on the first floor affords easy access, and its lovely design elements make it an unforgettable place to stay. Amenities and supplies: private bathroom, ductless A/C and heat, ceiling fan, flatscreen TV, free wifi, mini-fridge, ironing board and iron, hair dryer, bathrobes, blackout curtains. 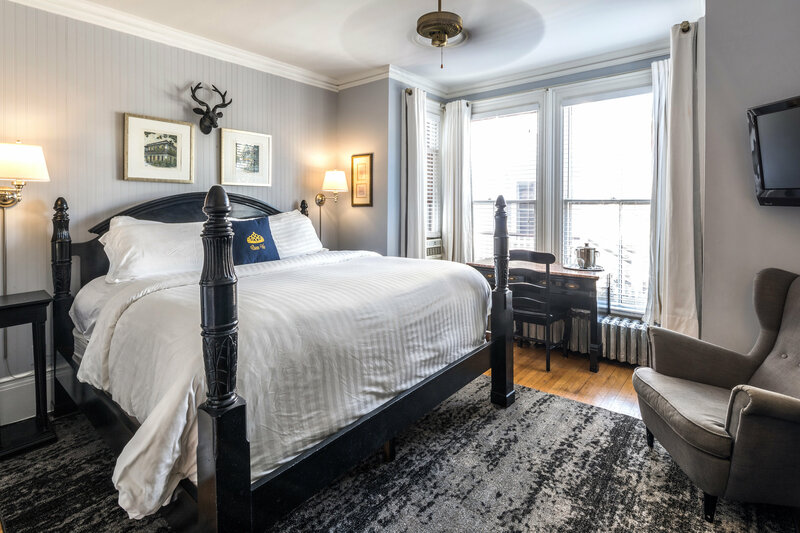 This room features a deluxe King bed, a wingback armchair with ottoman, and a huge floor-to-ceiling bay window overlooking a grassy lawn and Commercial Street. Its northeast exposure catches the morning light beautifully, but don’t worry — there’s also blackout curtains so you can drift back into sleep as long as you like! Amenities and supplies include: private bathroom, A/C, ceiling fan, mini-fridge, flatscreen TV, free wifi, ironing board and iron, hair dryer, bathrobes, blackout curtains. 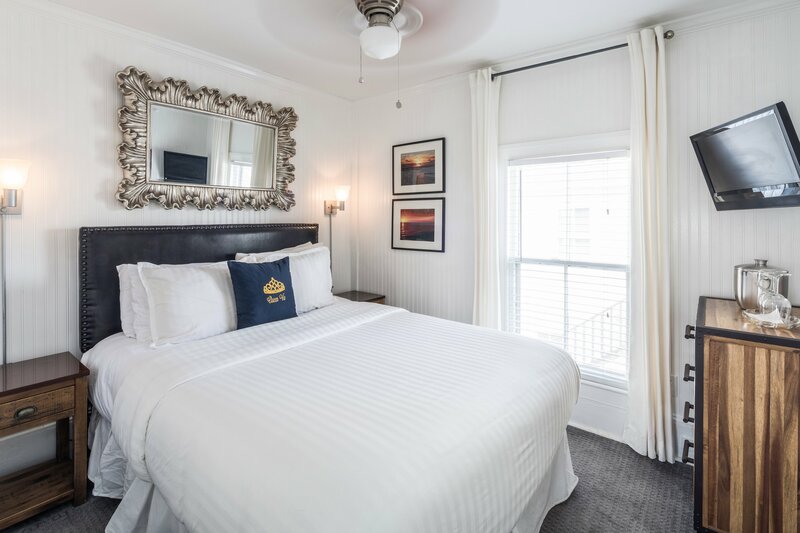 Located at the top of our grand staircase, The Head of State is the largest room in the house and features a deluxe King bed, a full-size leather couch, and a bright and spacious bathroom. A floor-to-ceiling bay window has a commanding view of Commercial Street, and is an incredible vantage point to see and not-be-seen. More windows, a full-size wardrobe, and a large coffee table round out this room fit for a monarch! 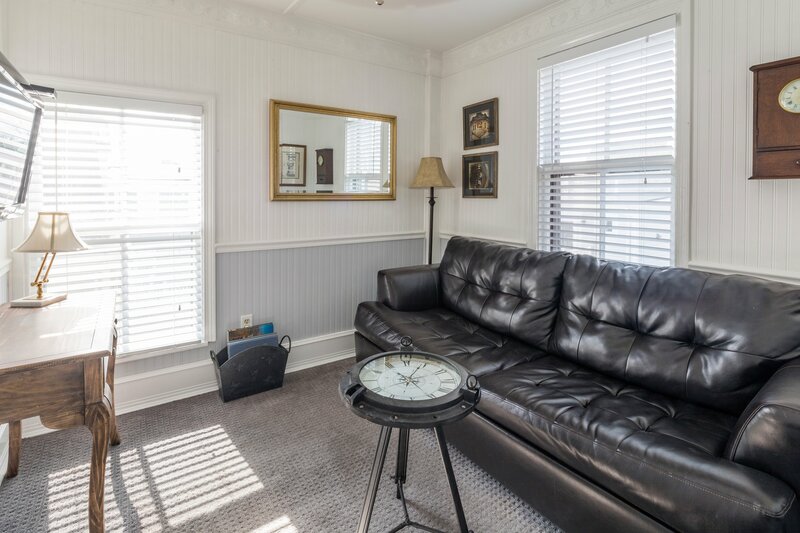 Amenities and supplies include: ductless A/C and heat, ceiling fan, mini-fridge, flatscreen TV, free wifi, ironing board and iron, hair dryer, bathrobes, blackout curtains. 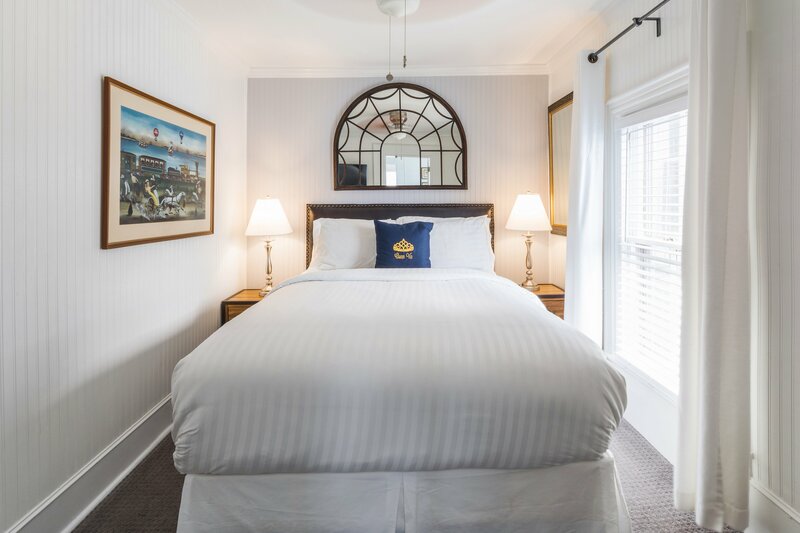 Room 14 is at the top of our grand staircase, and features a luxurious Queen bed, a floor-to-ceiling bay window with views over Commercial Street, a full-size wardrobe, and lovely design touches. The eastern exposure makes it full of light, but Venetian blinds and blackout curtains provide all the respite and privacy you’ll need. 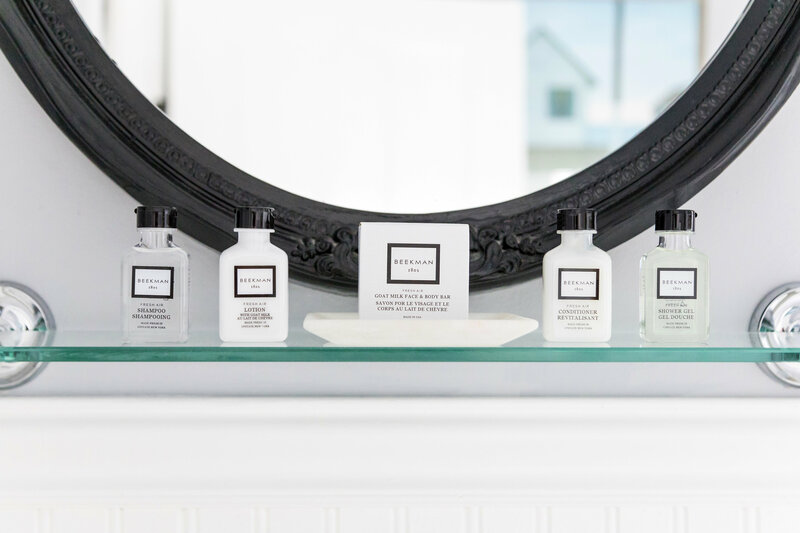 White beadboard and a bright bathroom give the Light Traveler a classic Cape Cod feel. Light from the east falls beautifully across the Queen bed and side tables, but this room is the smallest in the house and has less storage space than the others. 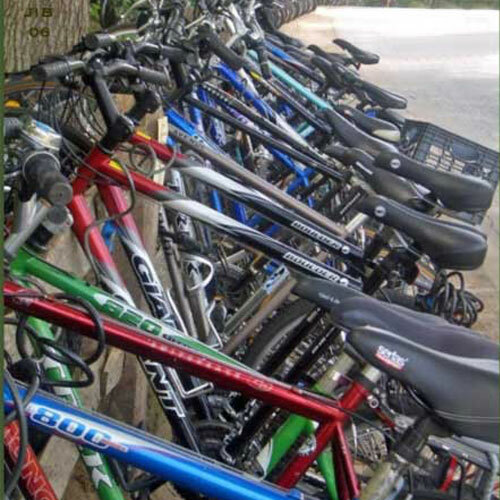 Provincetown is an out-and-about kind of town anyways… but if you have more luggage than you can comfortably stow, we are happy to store your bags elsewhere upon request. Amenities and supplies include: A/C and heat, ceiling fan, flatscreen TV, free wifi, ironing board and iron, hair dryer, bathrobes, blackout curtains. This elegant two-room suite features a bedroom and a sitting room, separated by a bright and oversized bathroom. The bedroom features a deluxe Queen bed, a leather armchair, and a small closet, while the sitting room has the matching leather sofa (which can fold out into a full-size bed), an ottoman and a writing table. Both rooms have flatscreen TVs, and the suite is located at the back of the second floor, near to the sunset deck and a stairway to the back garden and hot tub. Amenities and supplies include: private bathroom, A/C, ceiling fans, mini-fridge, flatscreen TVs, free wifi, ironing board and iron, hair dryer, bathrobes, blackout curtains. 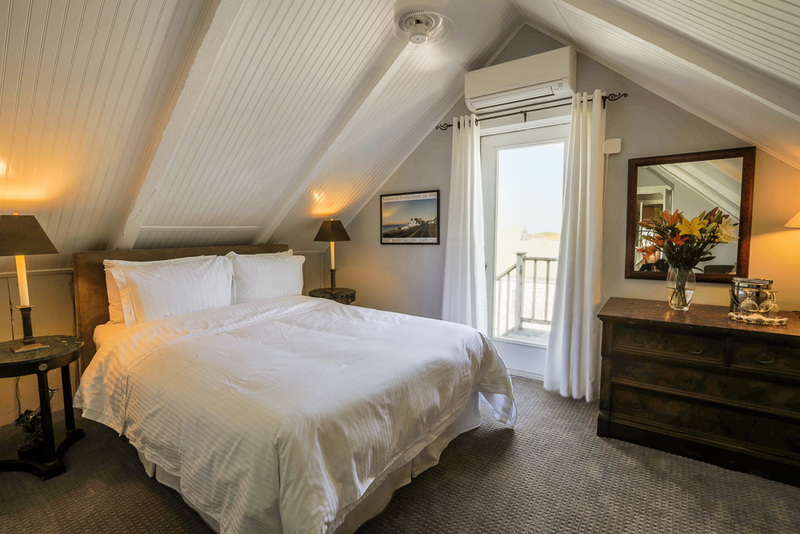 This beautiful room features a deluxe King bed, an overstuffed armchair and ottoman, and a doorway leading to a small private balcony with views over Provincetown to the setting sun! The magnificent skies make this room a delight in any season, and from the balcony. 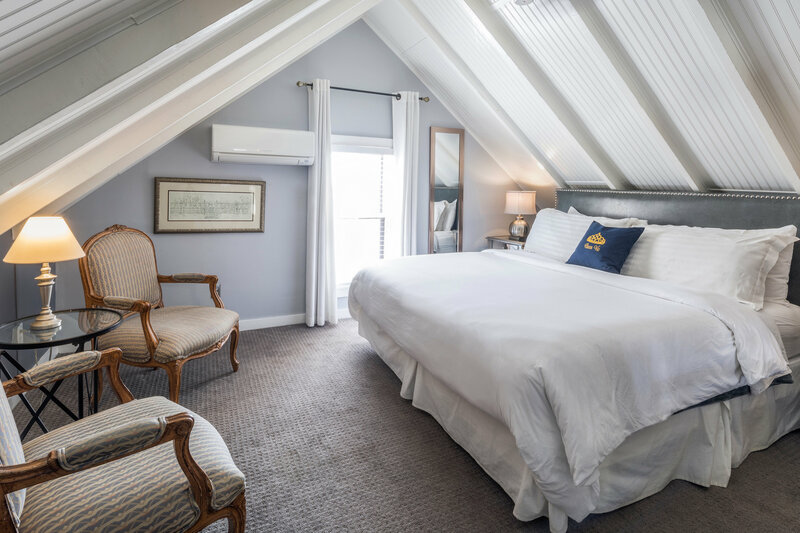 Being on the top floor, this room has an extra-large footprint and a pitched roof, which is covered in white beadboard for a bright and classic Cape Cod feel. Amenities and supplies: private bathroom, ductless A/C and heat, ceiling fan, mini-fridge, flatscreen TV, free wifi, ironing board and iron, hair dryer, bathrobes, blackout curtains. This stately room on the third floor is among our largest and most private. 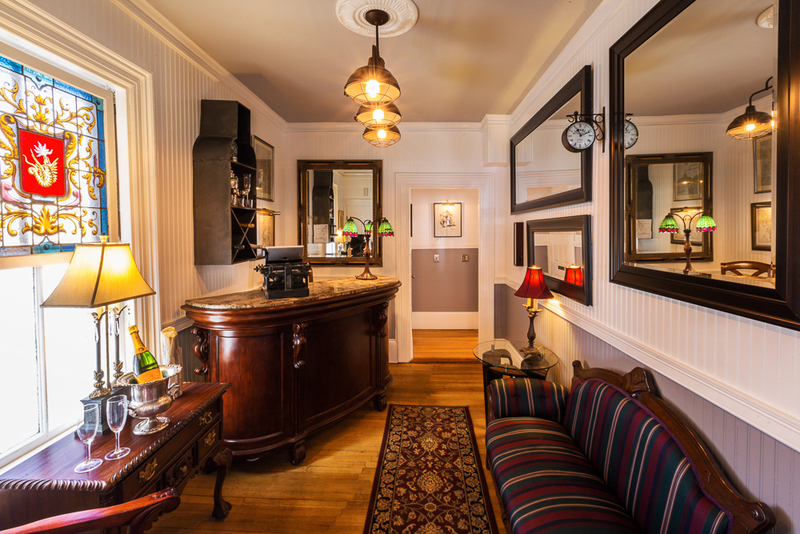 It features a deluxe King bed, a sitting area with period chairs, and beautiful furniture and accent pieces. 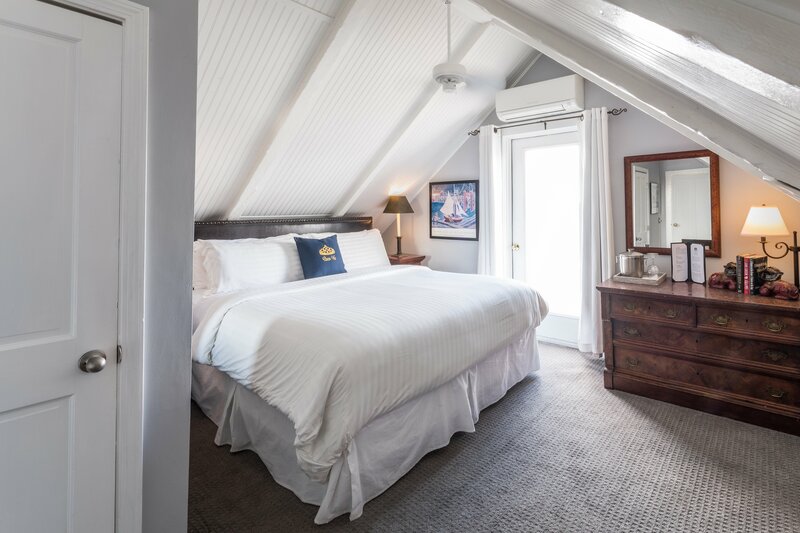 The room has an extra-large footprint and a pitched ceiling, which is covered in bright white beadboard for a classic Cape Cod feel. Amenities and supplies include: private bathroom, ductless A/C and heat, ceiling fan, mini-fridge, flatscreen TV, free wifi, ironing board and iron, hair dryer, bathrobes, blackout curtains. Provincetown is a magical place with something in mind which will pique everyone’s interest. Take in as much or as little as you prefer! You can spend your day sightseeing, boating, golfing, fishing, kayaking or sailing. 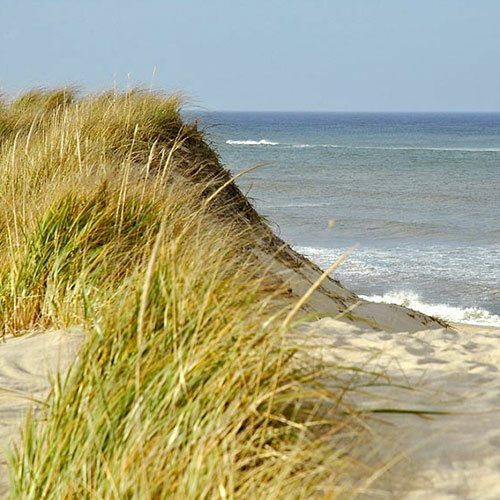 The Cape Cod National Seashore is a must see!While in town you can relax with Yoga or Pilates, if you would like to be a little more active you can climb the monument or hike to a historic lighthouse. Afterwards have a massage and then you can start the night at the world famous Tea Dance, head to dinner at one of Provincetown’s wonderful restaurants or the theatre and end the night at your favorite hangout. Our beaches are some of the best in the country with many different ones to choose from. Race Point on the Atlantic Ocean has tall sweeping dunes while Herring Cove sits where the ocean meets the bay You should always be able to find a little privacy if you are a little more daring by taking a walk across the breakwater. Beaches are not all that we have to look at. You’ll also want to take in the panoramic views at Province Lands. You will have memories for a lifetime! Surprisingly entertaining one-hour guided tours past the dune shacks and Pilgrim Lake in North Truro to the beach in four-wheel-drive GMC Suburbans. Art's Dune Tours on main corner of Standish St. at Commercial, (508) 487-1950. 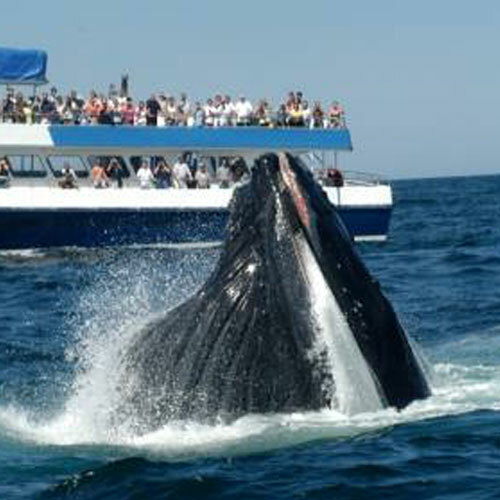 Provincetown's whale watch fleet locates dolphins and whales at the northern end of a 4,000 mile migratory path. Whale watches venture into the Atlantic for 3 to 4 hours. Warm clothing and sunscreen are a must! All depart from MacMillan Wharf. We particularly recommend The Dolphin Fleet. (508) 349-1900. Choose to be taken (staff can take you across bay and and pick you up) or rent your own. Also rents skiffs, Hobie Cats, and sailboats. 131A Commercial at rear facing bay between Pleasant & Franklin Streets. (508) 487-0898. 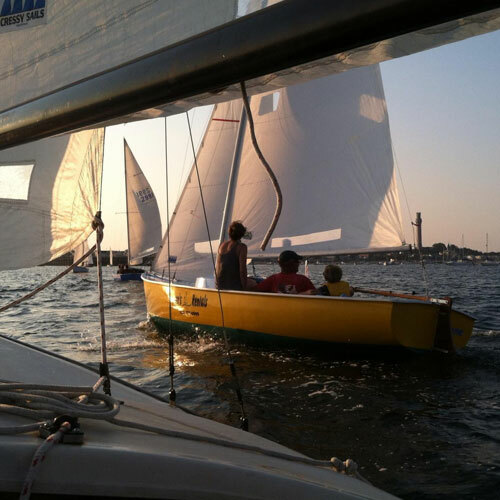 Enjoy day sails and sunset sails! 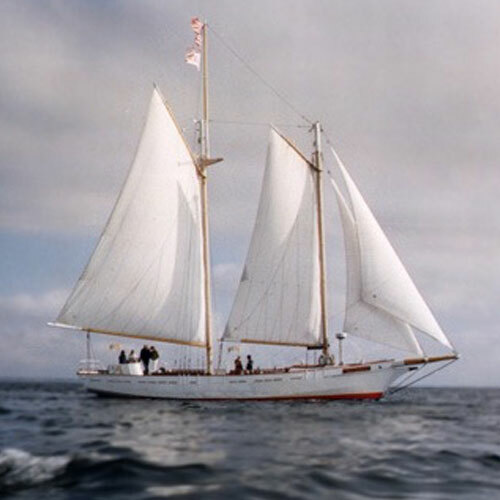 We recommend the Bay Lady II (73' Schooner) which is about a two hour sail. Launches from MacMilan Wharf (508) 487-9308. 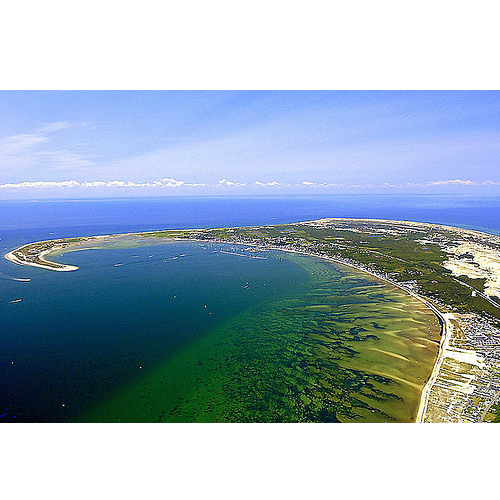 Provincetown is located at the tip of Cape Cod, Massachusetts, 116 miles from Boston. It’s between 2 1/2 – 3 hours by car, depending on the traffic. The bus takes slightly longer or you can relax on the daily ferry (in season). Check out the options below for more detailed information and schedules. We're your wings to 44 cities in the US, Caribbean & Micronesia. Need more info? 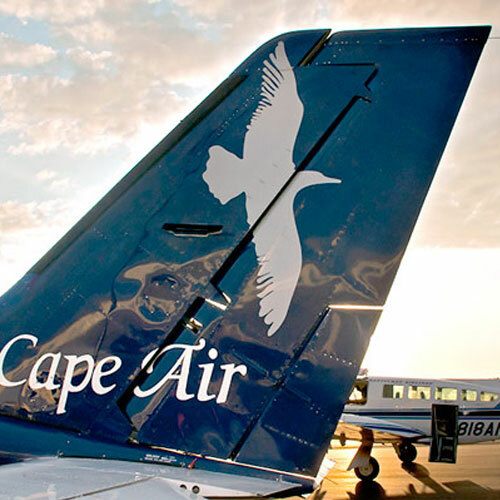 Call 800-CAPE-AIR or visit capeair.com. Boston Boat & High Speed Ferry (90 minutes) from Commonwealth Pier at the World Trade Center in Boston. Thru Oct 1st (w/select dates in Oct). High Speed Ferry (90 minutes) from Long Wharf in Boston: Ferry Service begins around Memorial Day and runs through Columbus Weekend. 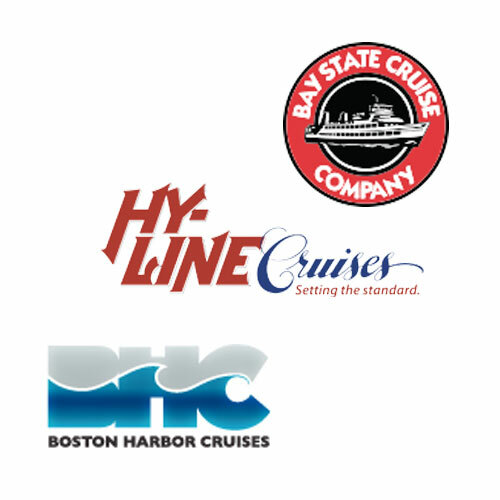 (617) 227-4321 Toll-Free (877) 733-9425 or www.bostonharborcruises.com. Please contact companies directly for schedules, pricing and current info. 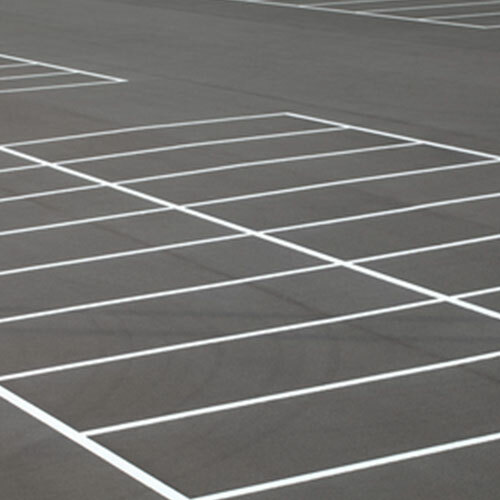 We recommend Grace Hall Parking at $25/night (24 hour). It's 3 blocks from our guesthouse and it provides controlled access, was recently paved and is well lit; located on the corner of Bradford at Prince Street it's very easy to get to... we can help you get there after you check in! The Provincetown Business Guild (PBG) is a non-profit organization that helps maintain the #1 Gay Community in America by promoting Provincetown to the GLBT market worldwide, producing such events as the much loved Carnival – the height of Ptown’s summer celebration and Holly Folly – the world’s only GLBT holiday festival. 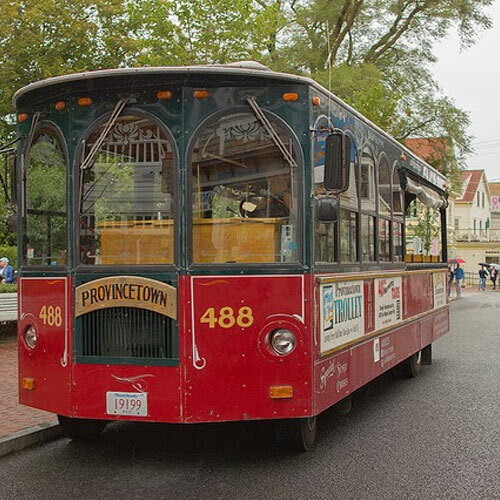 Located at the very tip of Cape Cod, Provincetown has a life uniquely its own, steeped in history dating back and beyond the Pilgrims' First Landing in 1620 and the Mayflower Compact, but alive today with a cosmopolitan community renowned internationally for its diversity and cultural sophistication.